For the last couple of years, my family and I have been setting out to deliver random acts of kindness throughout the 30 days of Ramadan (we call it our 30 Days of Ramadan GOODness) for (and with) our family, friends, and local community. We have even been able to get some international participation. With all the sadness in the world and a quickly fading hope in the goodness of humanity, we have now decided to try and take our deeds one step further – trying to touch as many people as possible. Together, we have challenged ourselves to complete one act of GOODness a week (and hopefully many more in-between). Some will be big, and some will be small, but no matter what the deed, we hope to spread some serious smiles all around! We’re calling it “The GOODness Movement – Families inspiring, one deed at a time”. Taking part in GOOD deeds with the entire family encourages children to be kind, allows adults to give back in a very special, yet simple way and creates a closer connection to what really matters in the world, for everyone involved. We recently found that by sharing our deeds, we were able to encourage other families from all over to take part in spreading some GOODness, which made the impact even bigger! We are hoping to get as many families involved as possible in The GOODness Movement…is your family up to the challenge? 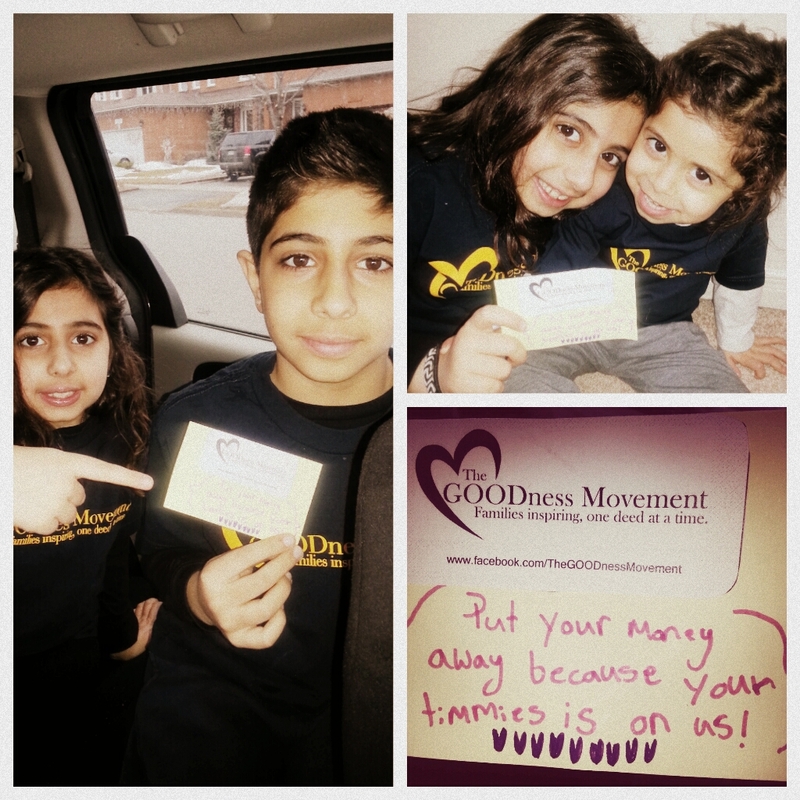 Get involved in our weekly GOODness projects, or our 30 day Ramadan GOODness movement! 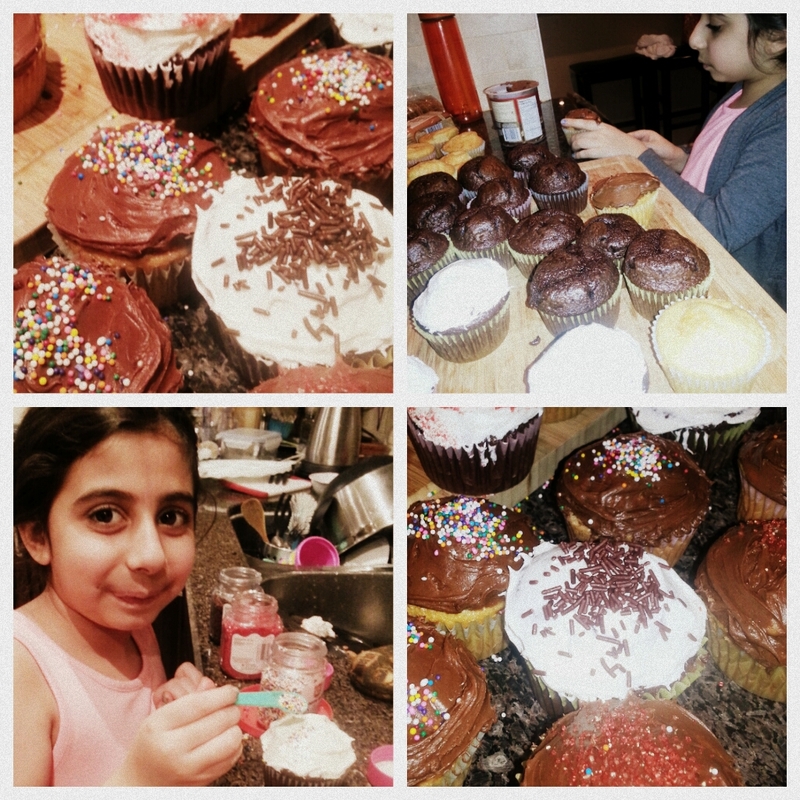 The 1000 Cupcakes Project is dedicated to abandoned/abused women with/and/or children, underprivileged children and families, street youths, and homeless people. The objective is simply to add a little more sparks of joy and hope in everyone’s hearts. HOW? This project welcomes public to participate by directly donating their nicely decorated cupcakes to certain organizations/shelters on the set date. It has already been an extremely cold winter, and its only just begun! For our GOODness this week we called up a homeless shelter/drop in centre and asked them what supplies they needed for this bitter cold – they asked for hats, gloves, scarves, earmuffs, warm socks… The kids head out, picked up the needed items and dropped them off at the local shelter – and they had a lot of fun doing it! Spreading some warm GOODness to those that need it the most! Everyday on the way to school we see our community crossing guards freezing in the bitter cold, but still managing to put on a big smile and wave the kids off happily to school. For this week’s GOODness we surprised our community crossing guards with some yummy hot chocolate from Tim Hortons – our family favourite! Spreading some warm smiles, bright and early in the morning! You know those kinds of days that just make you feel down – when everything just seems to be going wrong? Wouldn’t it be nice to hear some kind words to cheer you right up? That’s why for this weeks GOODness the kids have put together something they call ‘Inspiration in a bottle’ – They have written down some of their favourite inspirational saying and placed them in bottles to leave in random places all over – people’s desks, variety stores, drive thrus…anywhere really. Check out these beautiful creations and we’ll share some of the captured locations as they are sent in. Last year was year filled with conflict and despair, leaving so many families without proper shelter, food and access to the necessities of life. For this weeks GOODness we have decided to collect warm clothing/winter wear (new and used) for refugees suffering though this intense winter. We will be collecting in various locations across the GTA and then dropping them off to a container being shipped to Syria. 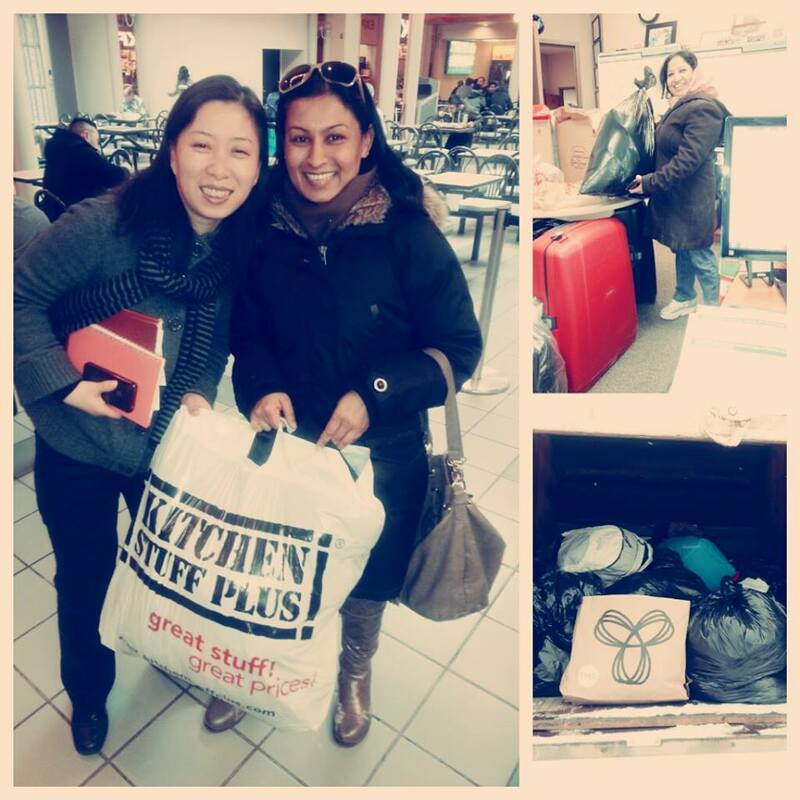 Helping bring some warmth to those that are suffering. It has been so cold lately, and we have been taking a major pounding of snow too! For this week’s GOODness we decided to take beautiful wooden spring ornaments and place them in snow piles in random front yards around the neighbourhood – hoping that it would be the first thing they see when leaving the house in the morning! 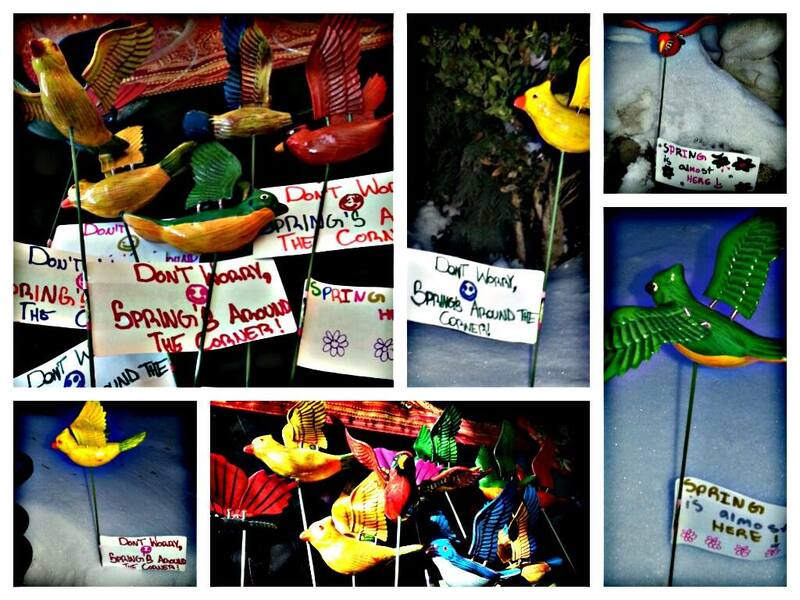 The kids also wrote cute little reminders that Spring was just around the corner! We nearly froze our fingers off, but definitely spread some warm spring GOODness in -30 weather! 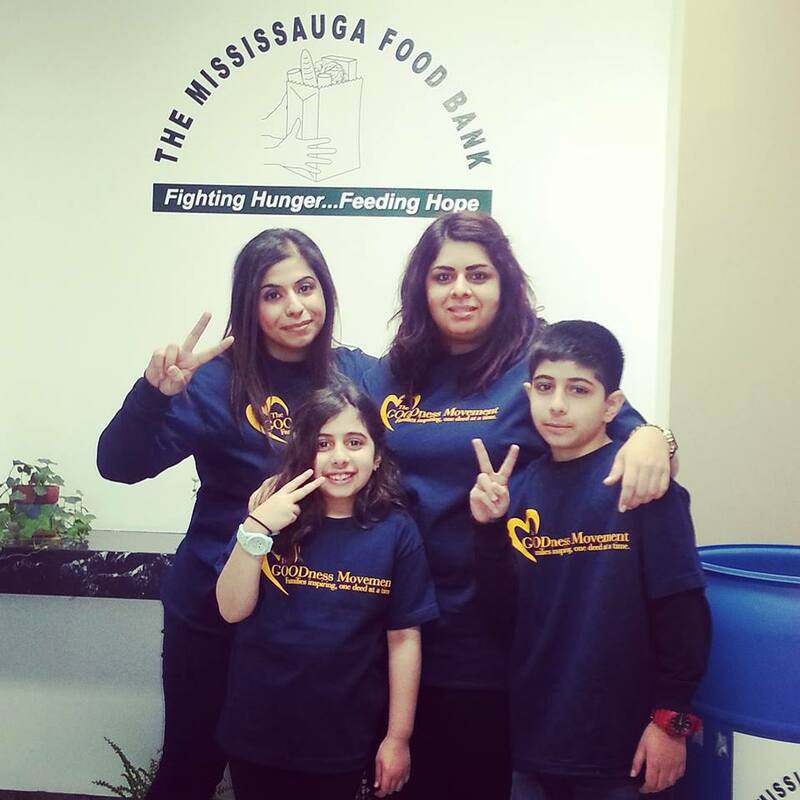 The Mississauga Food Bank provides 2.5 million meals each year, how amazing is that! For this weeks GOODness we grabbed the family and head over to volunteer at the food bank warehouse – and we had such a blast! Packing food and spreading GOODness to families in need all over the city. Today’s GOODness was a perfect fit for our Tim Hortons loving family! We went through the drive through, grabbed ourselves some yummy hot chocolates and paid for the cars behind us…and then gave the cashier a card reading ‘Put your money away, because your order is on us’ – and told her to give it to the drivers. Then we watched their reactions secretly from afar as they picked up their free orders! 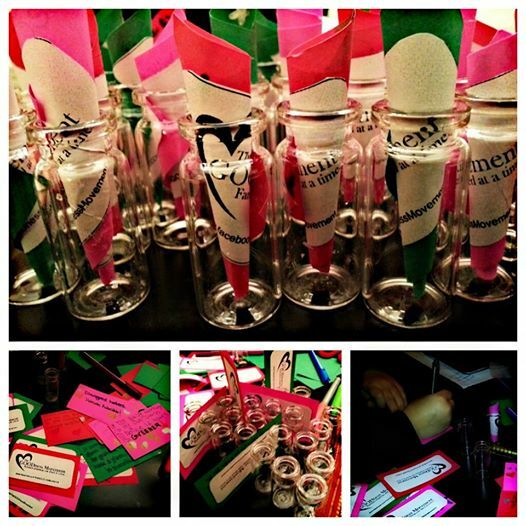 So much fun – spreading some warm Canadian style GOODness! The sun is shining, the snow is melting…and there is SO much garbage popping up everywhere! For today’s GOODness we got some cousins together and head out into the streets – armed with garbage bags and plastic gloves – we cleaned up our streets and left a VERY noticeable difference…spreading some GOOD and cleaning up our community one garbage bag at a time! This weeks GOODness turned out to be an amazing day filled with laughter and positivity! We decided to spread some GOODness in honour of Autism Awareness Week! We got a bunch of the family together – all ages and sizes – and baked our hearts out! 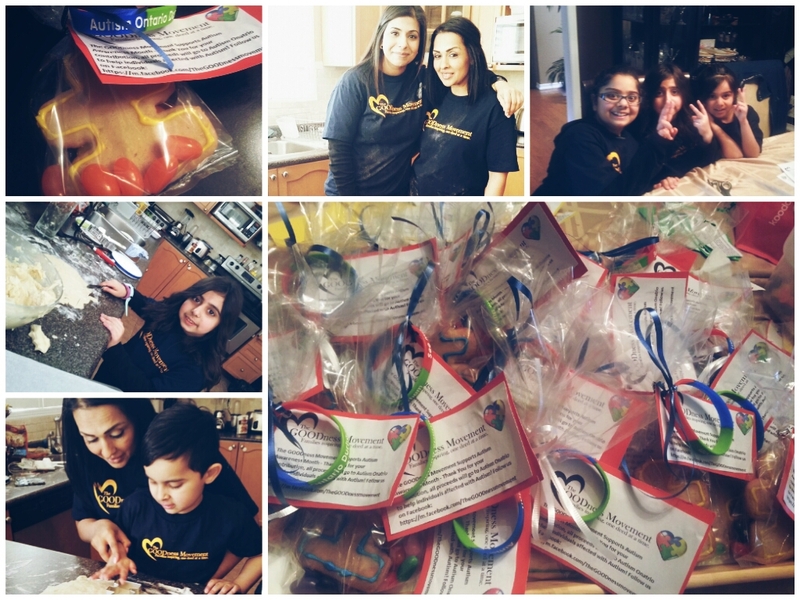 We created yummy little packs filled with home baked cookies (in the shape of an autism puzzle piece of course), yummy candy, a trendy Autism Awareness band and a personalized note. We’ll be selling these packs for $5 each and all proceeds will go to Autism Ontario! Teaching little hearts all about Autism Awareness while having some GOOD ol’ fashion family fun! Grab a refreshing drink – It’s on us! This weeks GOODness was a refreshing one! It was a beautiful sunny day and many people were stopping off at the local variety store for something cold to drink. 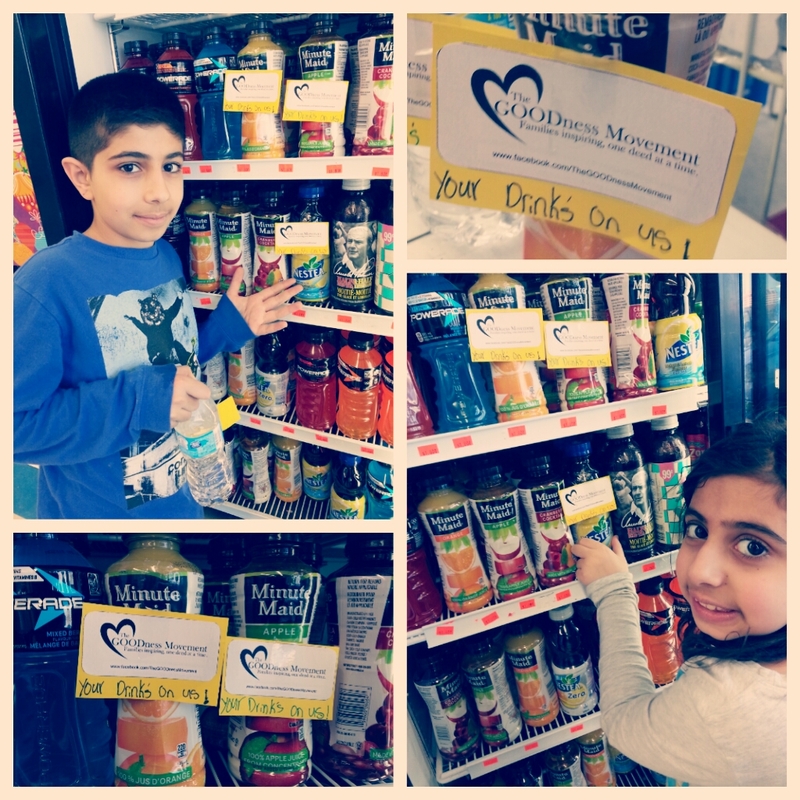 We purchased a bunch of juice/water bottles, slapped a GOODness card on them reading, ‘Your drink is on us’ and then put them back in the cooler. Then who ever reached to buy a drink would already have it paid for them! Spreading some refreshing GOODness, one bottle at a time! 2A thinks that this is awesome! Keep up the good work and keep inspiring! This is an amazing idea and we look forward to more exciting posts! This movement is inspiring and touching to say the least! Thanks so much! You should check out our 30 Day of Ramadan GOODNESS as well – I think you would really like it…hope you can join the Movement! May Allah Pak reward u for this amazing campaign..I really wanted to something loke for this ramadan and i have picked alot of ideas from this campaign..
Rabia, this is such an amazing paying it forward festivity program!